What do we do for cinema? It’s fair to say that people with any sort of power are constantly toying with movie releases, fighting for bans, censorship or maybe something else, but what are we doing? Are we on the front foot, defending the movies we love so much? It isn’t about who has directed, who’s in the film, who’s produced the film, who’s the supporting cast or who the DOP is. It’s about one thing: Movies. From taxi drivers to corporates, everybody has their favourite film stars, moments in film, action scenes, and the like. All this just screams: WE LOVE MOVIES. If you are unaware of the situation, click on the link below. The Cinema Owners and Exhibitors Association of India appears to have forced this perception to become reality. The association, which represents 450-odd single screen establishments in Maharashtra, Gujarat, Karnataka and Goa, announced on Friday that it has directed its members to not screen movies featuring Pakistani, singers or musicians. The immediate casualty of the decision is Ae Dil Hai Mushkil, which stars Ranbir Kapoor, Anushka Sharma, Aishwarya Rai Bachchan and Pakistani star Fawad Khan. …But what are we doing, for these movies? Sometimes it’s not about whether you’re a fan of Karan Johar or Aditya Chopra or Anurag Kashyap or Vishal Bharadwaj. It’s about the fact that they’re all making films. I may not watch Ae Dil Hai Mushkil but I definitely want it to get a fair release. On the debate whether Pakistani artists will feature in Bollywood movies from now on, the answer is already with you. It’s done and dusted. Right? But how can you punish a film that was casted and shot when things were “okay”? Was Karan Johar supposed to have a vision of the future? “Hey Karan, by the time this film releases, may be relations with Pakistan will be extremely bitter” If you do not believe that he had to have such a vision, how can you blame him for legally casting an actor who’s been granted a visa by our own trusted authorities? If these stars weren’t granted visas, none of this would have happened. This brings us to the main question. People are strongly divided on the basis of the camps they stand for. These camps are built out of the “star” they worship. Yes, it actually exists on Twitter, Facebook, etc. Say the Ranvir Singh fans (for some random reason) will be happy with the fate ADHM has had. Or say for some strange reason, the Salman Khan fans will be happy with it’s fate as well. How does this add up? How can we be happy when another movie is suffering? You may hate the movie, you may detest the stars in it, you may not like the director, you may hate the poster, whatever your reason may be, YOU LOVE MOVIES. Why don’t you go all out supporting the film? Don’t watch it if you don’t want. But it has every right to exist and get a fair release. Being such a large industry, the number of divisions are insanely large as well. There’s no cliche ask of “Stand together”. No body has asked you to hold hands and protest on the streets. The simple logic is, when a film lands up in a situation, its a film, the medium is what you love, it has to have every right to get a release. Movies are movies. Who’s in it, who’s made it, who’s produced it, all of that comes later. 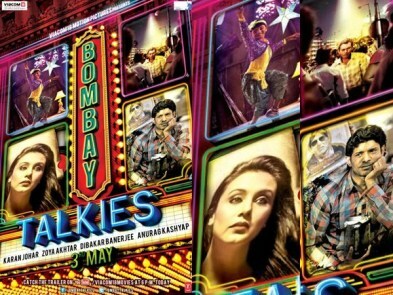 Bombay Talkies, a four director masterpiece? Bombay Talkies, what can i say about this film. Correction. These films. Karan Johar: The first of the four segments is Karan Johar’s. Its the boldest of the lot. Karan writes this short film with an interesting twist at the end. But thats not why I call it bold. The film is bold because of the way it addresses homosexuality. Karan’s film deserves praise for numerous reasons. Firstly, we haven’t (ever) watched a Karan Johar film which is THAT low budget. It was a big question for him too, as to how he would pull it off. But I think he does it ever so well. Special praise for Randeep Hooda who plays his character excellently. The dialogue is extremely cheesy with puns and double meanings that keeps one well engaged, humorously as well. Some instances of a person’s character are often difficult to express in their entirety, but Karan somewhat manages to do that well. The suspense of his film is well written undoubtedly but one of the last scenes, in my opinion, doesn’t hit that hard enough. The conclusion remaining the same, but that scene could have been done in a bit more hard hitting way. Overall, Karan comes with a surprise package. Boldness at its best in recent Indian Cinema and thats a great thing. His picture can also make one feel bad for an homosexual and understand him (as the character is a male). It kicks off and makes way for the coming three segments well. A good starter. Dibakar Banerjee: Dibakar Banerjee’s picture finds itself in second place, sandwiched between Karan’s and the interval. Dibakar Banerjee, always known for creating interesting, pleasure to watch characters doesn’t minutely fail to do it out here. 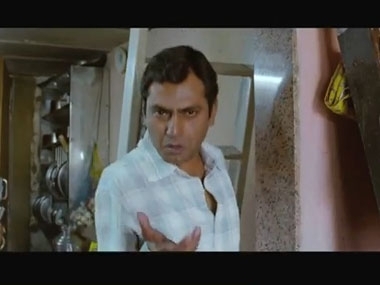 Nawazuddin Siddiqui, a great actor plays the struggling actor. Nawaz with his expressions and dialogue delivery makes you fall in love with his character and connect with him in a very different way, so much so that you feel for him and begin to predict his next actions. All praise for Dibakar’s high quality direction. The dialogue is tasty, humorous and also expresses the character’s pain, suffering and helplessness despite having great acting inside him. But there is something about this segment that has perfect short film written all over it. The last scene of the film is the best ‘last scene’ out of all the four segments. The camera work is praiseworthy, some of the frames set (especially one) remain in your head as you go back home from the theatre. Nawaz makes you laugh and cry for him, he makes you understand that character in such amount of depth that is seemingly very very difficult for a short film character, he makes you ponder upon about the life of many struggling actors and also how they manage life outside and at home. Dibakar creates a high quality picture that is such a joy to watch, and sometimes just get into. Its a directional masterpiece. It leads way for two great films, after the interval. Zoya Akhtar: Zoya begins the second half with a unique, adorable and touching story. Not only is this story well written, but there are many instances in the film, where just the silent actions of the characters can help you understand a great detail about them. Zoya’s lead character is a young boy who plays the character of a school going boy excessively influenced by Cinema and wants to become Katrina Kaif. On paper, this story is the most difficult out of the 4 to pull off.But Zoya creates a great film out it, fearlessly. Humor and pain balance themselves in a unique way in this film. Sibling relationships are adorably expressed. Every dialogue, is a dialogue we would hear if one of us was in that position. How many times have we seen it around us that children go from door to door in their colony to call their friends to play cricket when they’re hidden intention is only to borrow his bat? Minute instances are given a lot of importance and the best part is, it doesn’t feel deliberate at all. A great quality about this short is that, in a crowd of people or just children, not everyone feels the same way towards what is going on on the stage, or in a theatre, people are madly screaming for Katrina as ‘Shiela ki Jawani’ goes on on screen but characters like the boy’s father played by Ranvir Shorey, is startled and looks back at them as though they were just weird. When a performance is on, some are laughing, some understand the performer, some just think it is weird and freaky, some are, just like the performer, so much into the performance, screaming every word of the lyrics. Every child is unique and that is the hidden message this film carries. Apart from the fact that one should follow their dream. Very often, be silent about it as people may simply not understand you. Zoya creates a very unique piece, something no body has seen before, probably something no body has thought but is ever so possible. Anurag Kashyap: Last but not the least (cliche, I know) is Anurag Kashyap’s film about a man from Allahabad who wants to meet Amitabh Bachchan… to fulfill his father’s dream. Simply have to start by saying ‘Vineet Singh, take a bow.’ A tremendous acting performance. Humor, pain, suffering, determination, sorrow and the dream, all get culminated in Anurag’s picture. An interesting point, Anurag Kashyap, pulls off the ‘ideal structure’ for not just a short film, for any film. Despite of what this film is on paper, it manages to stay extremely real. One might think , Is the time span enough to show the ‘wait’ to meet Amitabh, wont it be too fast? Anurag proves you wrong if you thought this way. He arranges the events in such a way that you are engulfed by the happenings and even though the film has a short time span, it makes you feel and understand Vineet Singh’s character, his pain, desperation perfectly, in the backdrop of his extremely strong will. Out of all the four films, Anurag’s is the most authentic. There are no two three four ways about that. The dialogue pulls you in to the character who you may just not connect with, otherwise. Vineet Singh’s expressions define authenticity in the given situation. He puts you in a position where you simply cannot image a single actor on the face of the Earth who’d be able to pull off that role half as ‘real-ly’ as him. The idea of Amitabh’s famous dialogues playing in the background during a certain scene also, surprisingly increases the authenticity and realness of the film, for an idea which is actually very plasticky if you think about it (without watching the movie). Its difficult to explain how it works so well. Another plus point, the film doesn’t end where you think it will end (thankfully). There is another twist that makes you feel that Vijay (Vineet Singh’s character) is back to square one. But interestingly, that is what gives the film an ideal structure. A structure that is very much evident incidentally but yet pretty much unpredictable. Suspense-fully, this film works the best out of the 4 for me. But then again, not all the films had to have that twist at the end, and they didn’t. Anurag’s film, ends the entire picture as the four unique films complete. All are very very close, I mean it. Bombay Talkies is certainly a must watch. What turned me off was the closing song (celebrating the 100 years) which i thought could be much much much better and more interesting. Secondly, its quite a long piece, and it comes AFTER the THE END, wherein, many people have already gotten off their seats (majority in my case) and are already walking towards the exit. Bombay Talkies is a great way to celebrate Indian Cinema’s first century! I give the movie, overall, 4/5. What next ? The Big Question facing Indian Cinema’s next 100 ! 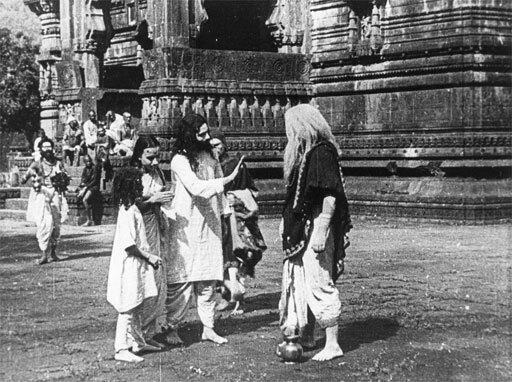 This post isn’t about 100 years of Indian cinema. It is about what i think are the issues that are causing blockages on our road to keep creating good and better cinema. During a front row conversation with the Directors of Bombay Talkies (Anupama Chopra’s reputed show on Star World India) Dibakar Banerjee recently pointed out that the technicians in the film industry are most ignored and paid less despite film being known as a technical medium. 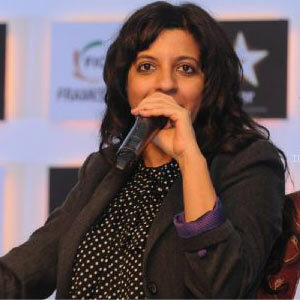 Zoya Akhtar in the same panel interview said ” Today they are making sequels of movies that shouldn’t have been made in the first place” Karan Johar highlighted the ‘herd mentality’ in the film industry. It is believed that many young film makers, having low budget but great scripts in store for the audience arent getting the required amount of space in the Industry. Dibakar Banerjee also said “Too many films are chasing too few weekends” Coming away from these issues, putting them behind us is the only way the Indian cinema can move forward. 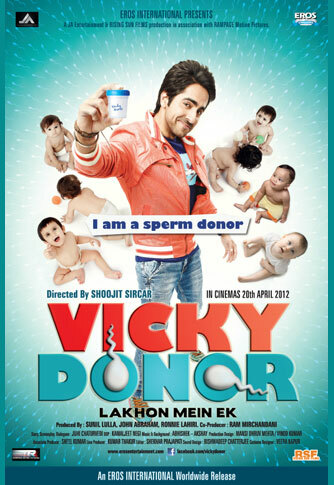 Vicky Donor, English Vinglish as well as anticipation for the next few movies of the Directors of these films. Selected film makers have began to ‘not bother’ about issues of box office results over recovery and have gradually started making films out of passion and solely to tell good stories. Cinema for the intelligent audiences is emerging. The ‘want’ to watch Indian movies overseas has increased by a large margin. Indian films are being talked about and rumor has it that Film industries are also looking to remake some of them. Indian cinema, known to take large scale influence from foreign films, has begun to inspire film makers from foreign countries too. What Next and what should be avoided ? The Next 100 years of Indian Cinema can be considered as a new beginning for all kinds of cinema. Cinema for everybody. Cinema that is fearless, real, bold and original. It may be wrongly interpreted that commercial cinema is bad or anything of the sort. Away from the genres of most of the commercial films and the topics they address, commercial cinema is actually something good. The money made by commercial films is also a positive factor for Indian Cinema. Glorifying and highlighting films that made 100 Crores and which film got the ‘biggest opening’ is a different matter all together. That has to do with the attitude of beginning to evaluate everything in terms of money as Rajkumar Hirani had once said about the ‘100 crore club’. In the coming years, our audiences should be ready to face a new beginning. They should be ready for a surprise element in the film industry rather than expecting the same type of films , very often , the same genres, the same stars, doing the same thing. More film makers should begin to not consider only commercial aspects of film making and start becoming strong voices and tell good stories. The Certification Board should give our makers a chance to tell us the ‘many stories’ that they haven’t had the freedom to even start writing with the fear of the obviously expected objection from the Board for its release. Small issues like character names shouldn’t be associated with people from the country only to cause headlines. Film makers often fear using surnames for the same reason! The fever of attempting to ban films just because of the topics they address should be disposed in the dump yard because we have to face it, the people who voice concerns over films and start riots to cause their ban, have, in most cases, not watched the movie !! Censoring films that are already Adult Rated (Foreign Films mostly) never made sense. It should become inexistent. An increase in Plagiarism discouragement has to take place five fold and originality should be a sort of a public demand by the audience ! Hilariously enough, movies that are sent for the Oscars by India should be judged much better. Films that contain scenes lifted from this and that movie will probably be laughed off by the Oscar Jury. Repeating , the addiction to ‘remakes’, ‘sequels’ , ‘item numbers’ and ‘Opening week collections…100 crore club’ , should be over come. None of them even minutely certify good cinema. Song lyrics from many recent films have seemingly degraded drastically, almost detaching us completely from the beautifully soothing melodious lyrics of our own, old films making clearly no sense in many many cases. 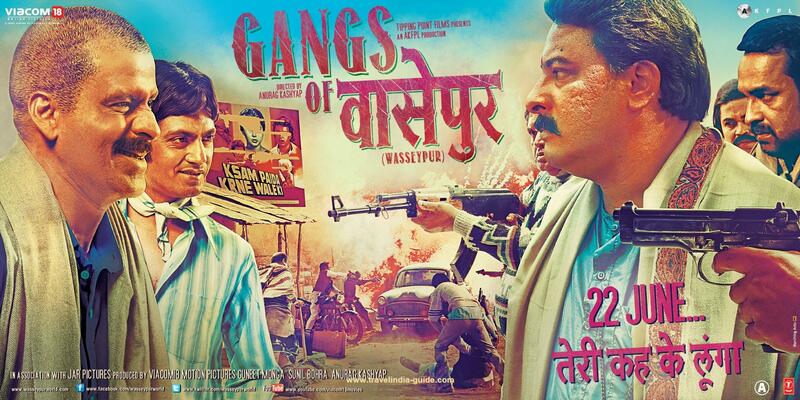 When we speak of lyrics, some films have been attacked because of their ‘controversial lyrics’. People stand up challenging directors to remove the song or to change the lyrics. Attracting News Channels and Public attention is again, speaking about the attitude of these certain people. Nothing can be done about that. But, in the past, the songs that have been attacked for their ‘controversial lyrics’, were usually for one or two words towards which audiences are often ignorant and simply unaware. If India tackles these issues, our films and our film makers have an even greater chance to stand tall in Global Cinema. We have a HUGE film industry with the greatest diversity and variety in terms of language, culture, understanding and sensibility amongst the makers as well as the audience members. In Indian Cinema, the audiences live the movies. India makes films in more than SIXTEEN different languages, which for instance in the year 2011, amounted to an aggregate of 1,255 movies in the whole year! For those who thought that Bollywood made far more films than any other Indian film industry, in the same year, Hindi film industry made 206 films and Telugu made 192 films. Tamil made 185. That answers many questions. Its extremely exciting to think about whats coming next in the new era of Indian Cinema! Thrilling indeed. We are proud to be the largest film industry in the World.